PDF Tea in the Garden pattern. This project is our go-to table topper for your table top during the summer and spring months. 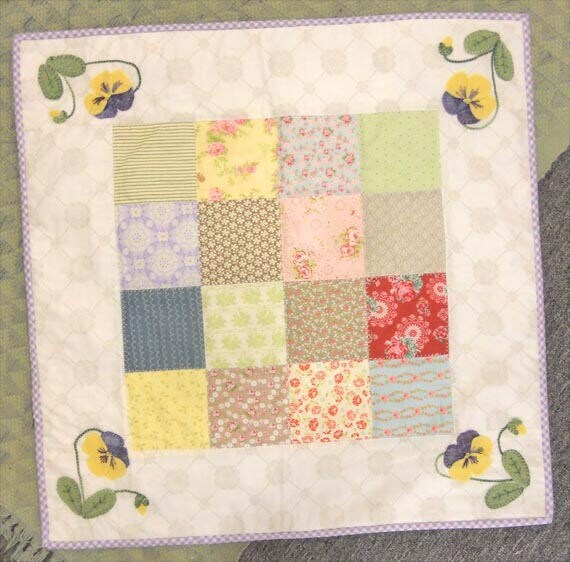 It features wool pansy flowers and buds appliqued at each corner and a pieced center. Tea in the Garden measures 27 x 27 inches. This listing is for the PDF pattern download only.